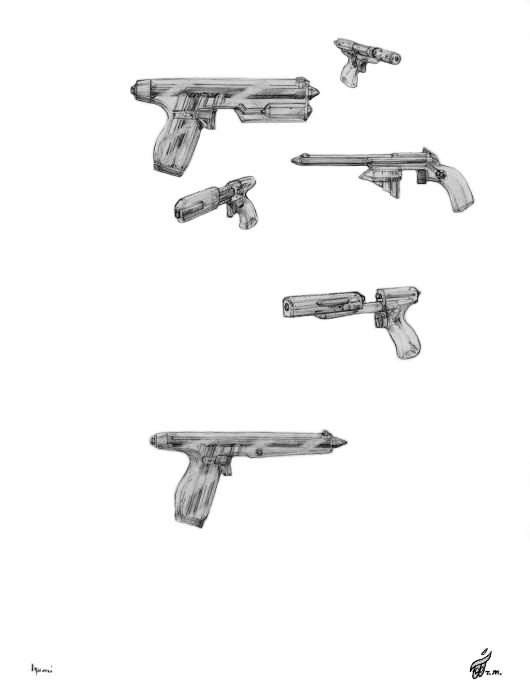 The crystalline based science used to develop anti-gravity technology and these Crystal Technology Mazon Laser Guns Sketches were developed long ago by the ancient Oceana humanoid race scientists. They did this after studying how the gravity defying and flying ability of the Dren race worked. Both races come from a mostly water covered planet in a higher parallel dimension of the physical universe. These energy beam weapons of various types are created with laboratory grown crystals utilizing a crystalline-based extraterrestrial technology. All the Mazon energy beam guns are encased in a special transparent crystal mineral. 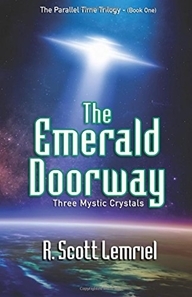 The clear octagon crystals rods inside inter-connected with each other are also made from different colored crystalline minerals that focus powerful frequencies of light toward the target. The amplifier is at the back or in the handles. The bottom Mazon laser gun is one type that Captain Kalem Starland and other members of the Galactic Inter-dimensional Alliance Of Free Worlds space fleet personnel use. This type of defensive weapon causes the molecules that make up a living being, animal, plant or rock to instantly loose their molecular bond, and the targeted subject disintegrates into a cloud of heated vapor that vanishes a moment later. Of course, this would be at its highest power setting. It can also be set to a force level that will knock an opponent’s weapon out of their hands through a projected gravitational pulse wave, and it can be set to stun them for several minutes. Though sometimes more exotic in design, similar types of these crystalline technology based weapons are utilized by various extra-terrestrial races within the Galactic Alliance, and by the few totalitarian races that are not part of the benevolent world systems. The Glonden, Yalgull, and Zon races revealed in The Parallel Trilogy books are opposed to this Alliance. Note: If you want to see the Captain Kalem Starland Character Illustration of him aiming a similar but heavier type of this same weapon click on the link below that goes to this large image.